Actually, I forgot to mention in the problems… I really wish Shuttersnitch would allow editing of keywords in addition to what it does allow. There’s another app you may find interesting, if you haven’t tried it already: Filterstorm Neue. The main advantage is that the selection process is made on the iPad using the Fuji Camera Remote app, rather than the camera. This allows you to see a few thumbnails at once and zoom in on the photos you deem worthy. After the initial selection process in Fuji Camera Remote, you’ll have all the photo you wish to edit on the iPad’s camera roll. Proceed to Filterstorm Neue and do all the editing (it has fairly comprehensive and intuitive editing tools), edit the IPTC data (you may save it to later apply on other photos) and then export via FTP or other methods. Thank you, I totally understand your idea with browsing on the iPAD. However, when trying to choose from somewhere between 5, 60 or even 200 photos, downloading the thumbnail, choosing and zooming is just too slow.. It takes minutes in which time I could have sent quite a few images…. I actually find it faster to browse through hundreds of photos on the iPad, rather than having to look at them one by one on the camera’s comparatively tiny LCD. The thumbnails for hundreds of photos pop up on the iPad in mere seconds, and since I’m able to look at up to 25 photos at a time, it’s much faster to find the ones I want. Furthermore, on the iPad I have the option of zooming in to check for focus. Anyway, thank you for this post! I’m a press photographer as well and I’ve recently bought a Fuji kit so I’m trying to find a workflow that works for me in the field. 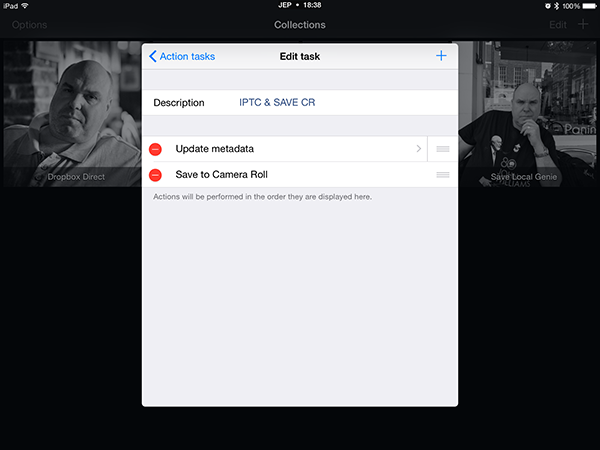 I’ve been using the Fuji Camera Remote app and Filterstorm Neue but I’ll check out Shuttersnitch. The issue is, at the start of the job, it is fine, connect, thumbnails load in seconds, select, download, send…. The Fuji Camera Remote app shows the most recent photos on top, and they’re the first thumbnails to be loaded so in that BATFA scenario you’d be able to select and download them to the camera roll in mere seconds… no need to wait for all the thumbnails to load. Thanks – Ill re-check it out.. 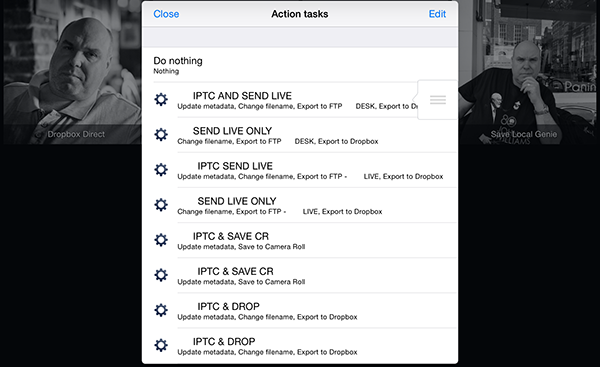 Although – do check out shutter snitch because if you have it right in camera and don’t need to edit, the image can end up on the news desks far faster as there is no need to touch the pas after the initial connection..